Basketball's most unlikely and most sought-after training guru offers an inside look at his career, his methods, and the all-star players whose games he's helped transform. Where do the best basketball players in the world turn when they want to improve their game? Whom does a future NBA Hall of Famer thank at his press conference when he's named Rookie of the Year? Who is it that "Sports Illustrated," "The Wall Street Journal," and" Men's Journal" all call the "Hoops Whisperer" because of his ability to engage, inspire, and challenge the players he trains? The answer to all of these questions is Idan Ravin. Ravin never played or coached in college or the pros, yet a virtual NBA All-Star team relies on him to better their game and reach their full potential.A soft-spoken former lawyer, Ravin has become professional basketball's hottest trainer. In" The Hoops Whisperer," Ravin shares the fascinating story of how he transformed a passion for the game into working with iconic basketball stars such as Chris Paul, LeBron James, Kevin Durant, Carmelo Anthony, Stephen Curry, Blake Griffin, James Harden, Dwight Howard, and many more. He offers a rare unguarded glimpse inside the lives of these great athletes, drawn from his intimate connection with them that is the basis of his success. Showcasing his unorthodox drills and improvisational techniques in action, Ravin reveals how faith, effort, dedication, and passion can make a player into a superstar and anyone into a success. 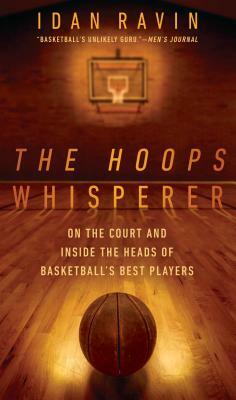 Combined with his own inspiring journey, Ravin's insights make"The Hoops Whisperer" a must-read for anyone who loves the game.